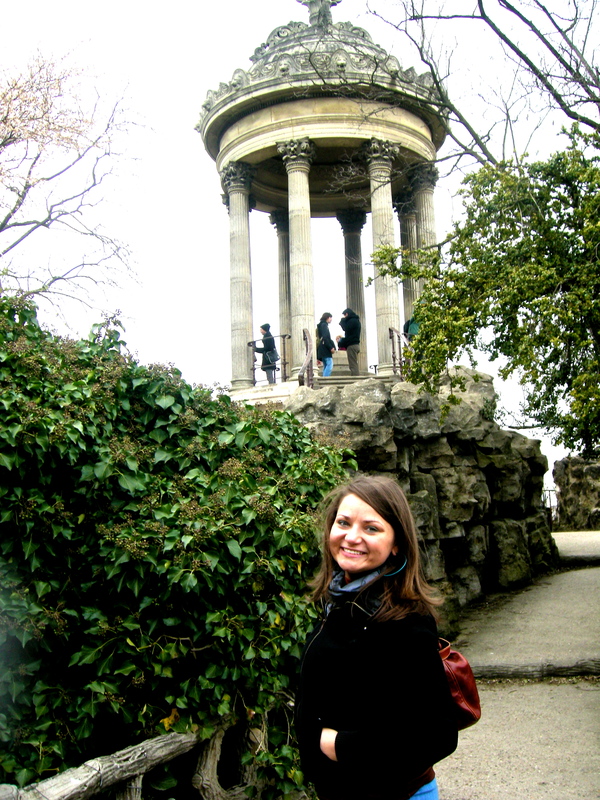 Paris, France – "Not All Who Wander Are Lost"
I wasn’t drawn back to Paris because of previous travels or a deep love for the city. In fact, I returned simply because it was a convenient place to meet up with a dear friend. We had no ideas to ‘discover’ anything. We only wanted to be in the same place together—her home being Ireland and mine Switzerland at the time. The Louvre was not on our ‘to-do’ list; nor was traipsing up the Eiffel Tower. 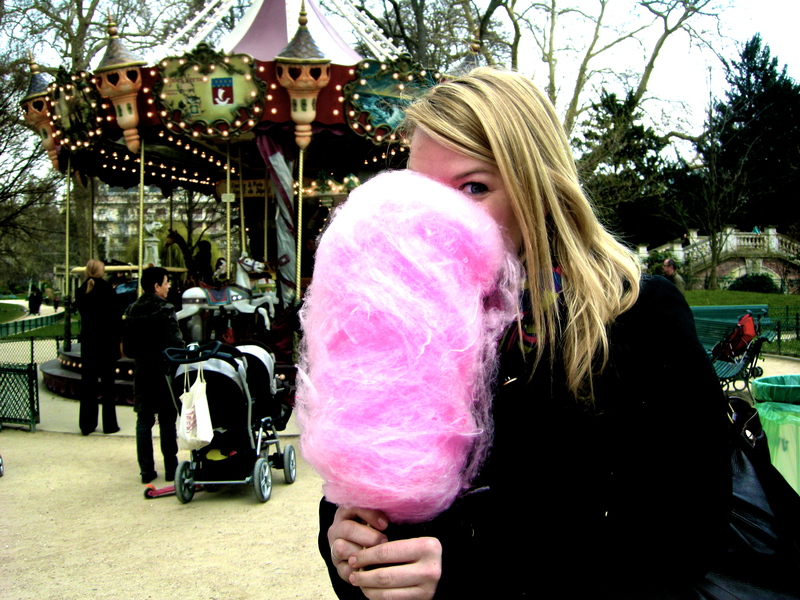 Instead, we had tea at the Rosa Bonheur in Parc des Butte Chaumont, walked along the picturesque canals of Saint Martin under a cloudy sky, and ate cotton candy the size of our heads in Parc Monceau. We made new friends couchsurfing, met up with old ones, and somehow along the way, we unknowingly found a Paris missed by most. We found its best kept secret: the people. If you try, I’m sure you can smell the tang of the smoke-filled air in a room of complete strangers and hear music playing loudly from YouTube by the self-­made DJ of the evening. A French dance party, we were invited to partake in—knowing one person…we’d met the night before. Yet, these people, these French people, welcomed us into their home without question and insisted upon opening a new bottle of wine so we could also imbibe accordingly. Plan your next visit to my friend’s apartment in Strasbourg-­Saint Denis with its eclectic population and triumphal arches. Join our evening discussions on the gray futon of film, music, and the fact “SACRE BLEU!” is NOT a phrase commonly used by French people EVER, as Tisha the black & white cat stares at you unblinkingly. You must see my friend’s gourmet grocery on Rue Marie et Louise, where I’ll brag about how amazing Chez Babo is and that I know him. Smell his vase of crimson roses bought from a poor peddler and appreciate their physical and symbolic beauty because…he bought the rest of the flowers. All of them. Just because. 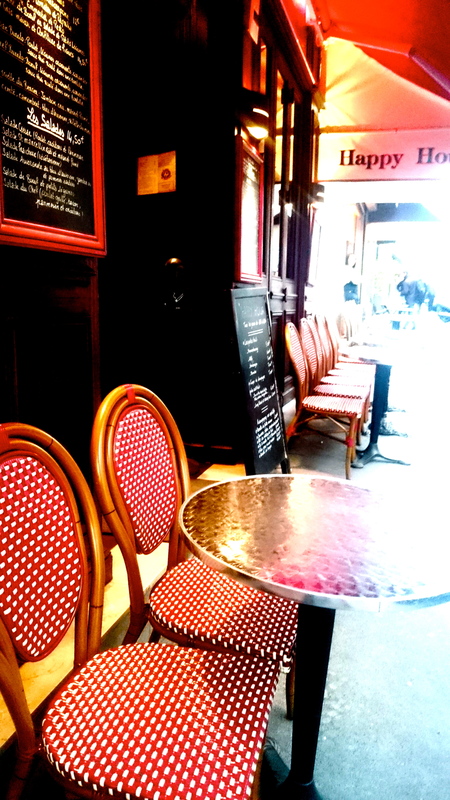 Sit with me, on a friend of a friend’s couch, as I watch him get his haircut and drink a white wine and black currant cocktail—Kir—with strangers, my new friends, everyone smoking cigarettes with chicness only the French can innately have. Come with me to a birthday party as a complete outsider, and be welcomed with open arms and given glass after glass of champagne. Sit up late at night with me and my friend, discussing movie stub collages over plates of pasta while Billie Holiday croons, “I’ll be seeing you,” out of the speakers of his Macbook. Conjure up the warm atmosphere of home I felt and get to know my friends (old and new) as I do. I want you to see this Paris, this reality. It is beautiful in every facet of the word, more than I can verbally express. So, if you ever hear someone say the French are rude, call their bluff. They’ve obviously never seen the real Paris. 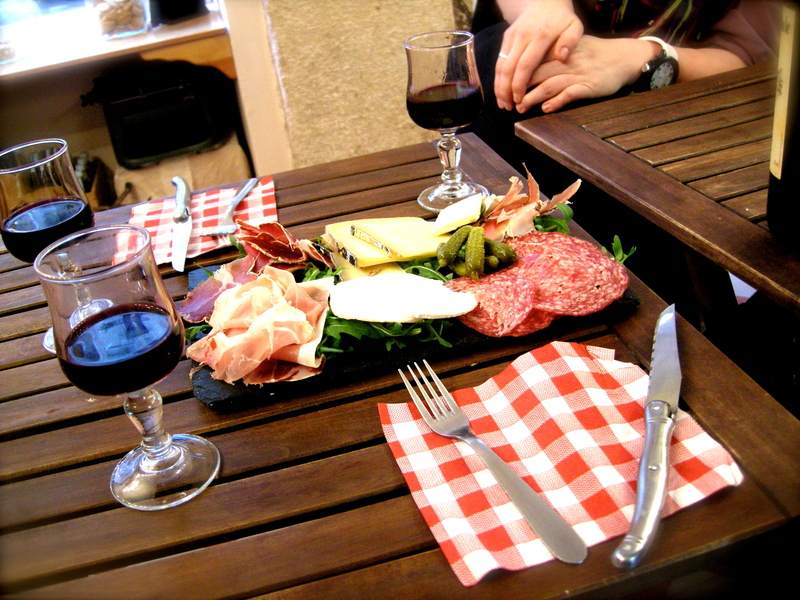 Its the city that is hiding under the pergola of the Jardin des Plantes, echoing conversations on life and meaning; watching the Seine sparkle in the night from the view of Pont Neuf, no other souls about; or even (yes even) learning to make homemade pizza in France from new friends. Search for this Paris. Take the unbeaten path. You won’t be disappointed.